Essential guide for everything you need to know to keep relaxed through every day life Repackage of the phenomenally successful guide to dealing with nervous illness – Self Help for Your Nerves. This guide offers the most comprehensive insight and advice into coping with nervous stress. 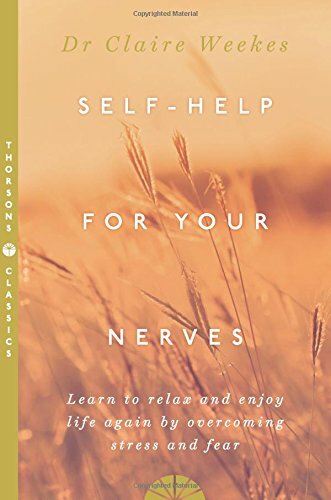 Sufferers of nervous illness regard Self Help for Your Nerves as their bible – many believe that if they had found it earlier they would have been saved years of unnecessary suffering. Dr Claire Weekes looks at: How the Nervous System Works What is Nervous Illness Common factors in the development of nervous illness Recurring Nervous Attacks Plus important chapters on depression, sorrow, guilt and disgrace, obsessions, sleeplessness, confidence, loneliness and agoraphobia. The book also shows the Dr Claire Weekes method, a practical programme on learning to take your place among people without fear.